Pretty 14k gold heart design ring. 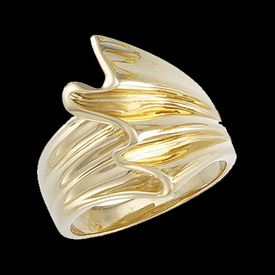 This modern design heart ring is very stylish and available in 14k yellow, white, or rose gold. Special order this ring in Platinum. Ring measures about 1/2 an inch across the top.